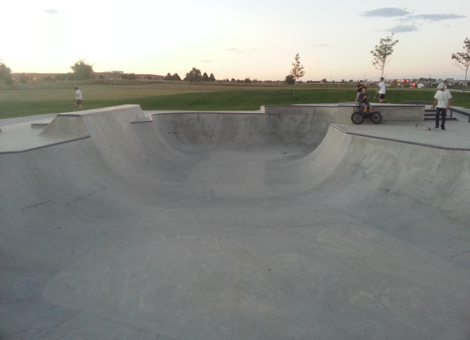 The Thornton Trail Winds Skatepark is located at 134th Avenue and Holly Street and is part of a larger community level park. 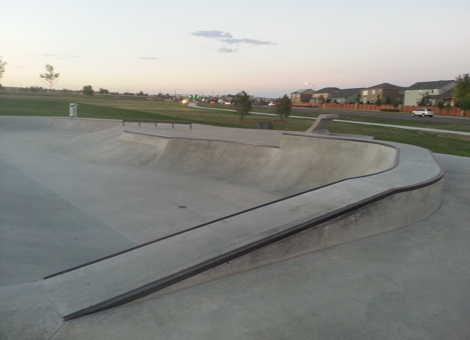 The skate park includes the approximately 14,000 square foot concrete skate park, a 19-space parking lot, trail and sidewalk connections and shade pavilions that are open to skateboarders, inline skaters and BMX bikers. 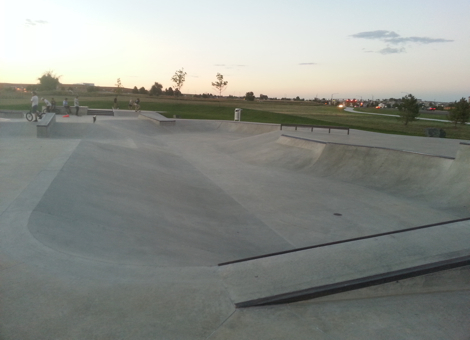 The skatepark was designed by DHM Design and Team Pain and incorporates the input received during the two skate park workshops. 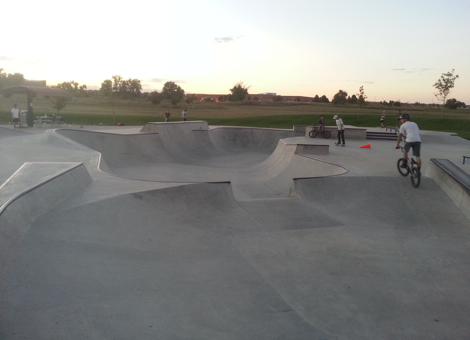 It was funded in part by the City's Parks and Open Space Tax revenues. 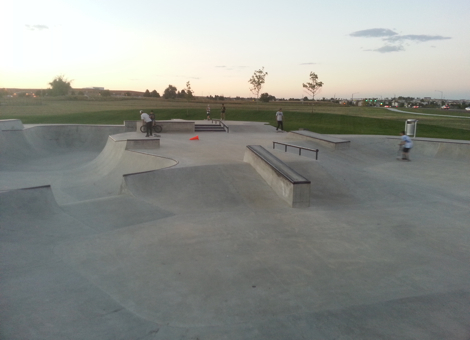 The City was also awarded two local grants for use toward the project including an Adams County Open Space Grant for $150,000 and a Great Outdoors Colorado Local Government Grant in the amount of $200,000. 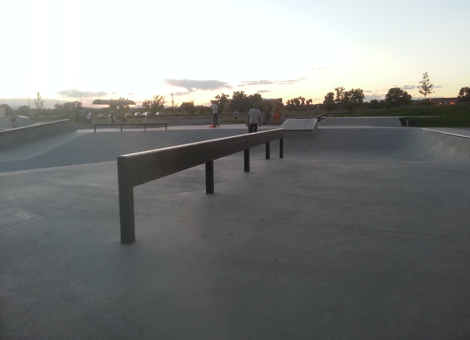 Skateboard facility is open from sunrise to sunset. It shall be unlawful for any person to enter or remain on the premises outside the hours posted. No glass containers, food or beverages permitted in the facility. NO SMOKING. The city may close the facility without notice, due to unforeseen circumstances. 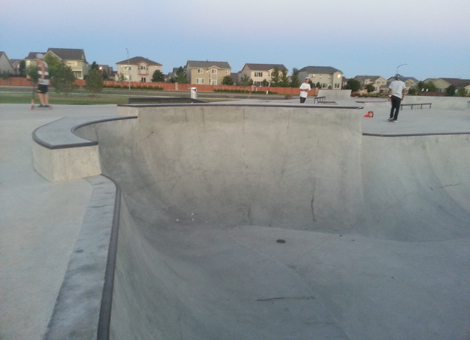 Unruly conduct or defacing the facility may result in the loss of skate privileges. Use the proper safety equipment such as helmets, gloves, knee pads, elbow and wrist guards, and proper shoes are HIGHLY RECOMMENDED. All users shall provide their own equipment and ensure that it is maintained in good working order. 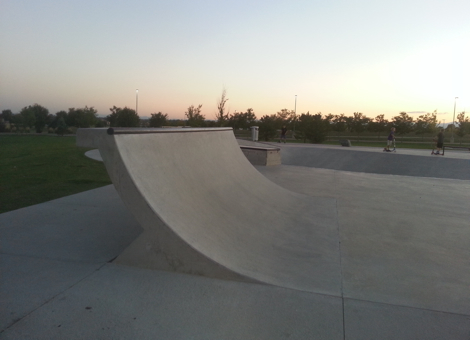 No makeshift items or modifications to existing ramps and like items are permitted. Violation of the rules may result in loss of skating privileges.